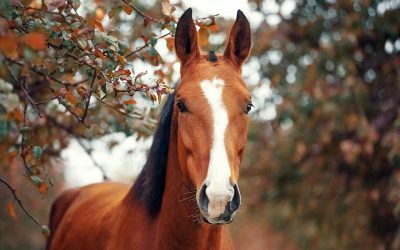 KATONAH, N.Y. – The Right Horse Initiative (TRH) has established a Veterinary Advisory Council of five industry-leading equine veterinarians to serve as a critical advisory panel to The Right Horse Initiative (TRH) and its affiliates. Members of the Advisory Council will share their professional opinion and experience in service to the mission to massively increase the number of successful horse adoptions in the United States. The Council will ensure TRH programs, partners, and policies, which work to reframe the adoption conversation and shatter the stigma surrounding horses in transition, are developed with comprehensive, expert guidance on equine welfare. The Right Horse Initiative is proud to welcome five outstanding professionals to its Veterinary Advisory Council. Full biographies for each member are available at www.therighthorse.org/vet-advisory-council. Dr. Jeannine Berger, DVM, DACVB, DACAW, CAWA, is Vice President of Rescue and Welfare at the San Francisco Society for the Prevention of Cruelty to Animals and one of only six veterinarians in the United States to be double board-certified in behavior and welfare. Dr. Tom Lenz, DVM, MS, DACT, is past president of the American Association of Equine Practitioners and past chair of its Welfare Committee and has been a lifelong advocate for the welfare of the horse. Dr. Sharon Spier, DVM, PhD, Dipl. ACVIM, is a Professor in the Department of Medicine and Epidemiology at the University of California, Davis and currently serves on AQHA’s Scientific Advisory Board. Dr. Harry Werner, VMD, has dedicated his life and career to the care and welfare of animals through his practice, Werner Equine, in North Granby, Connecticut. He was the 2009 AAEP President and is now part of the AAEP’s Welfare and Public Policy Advisory Council and the AVMA’s Welfare Committee. “We’re grateful for each member of our Veterinary Advisory Council who will dedicate their time and talent to The Right Horse Initiative,” said TRH President, Christy Counts. “The diversity and experience of our Council will lend incredible equine welfare expertise to our programs and partners, and ultimately help thousands of horses in transition.” To learn more, visit www.therighthorse.org/vet-advisory-council.